The above picture represents a multi-panel urine test known as a "Dip Test" or a "Panel". These also come in single Panel Drug Tests. 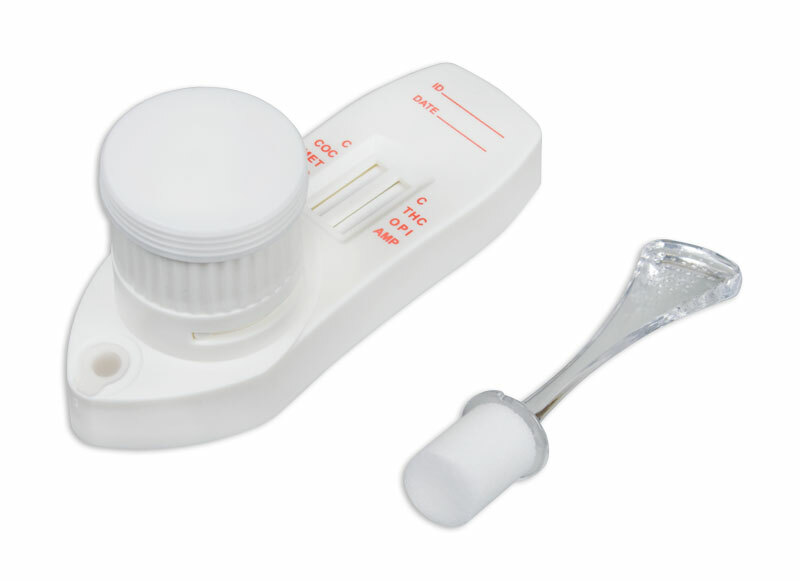 Above is one of the first urine drug test "Devices". They are often referred to as a "Cassette Test". (Breath Alcohol) tests for the presence of alcohol on human breath. This is an oral saliva drug test manufactured under the name "OrAlert". Perhaps the best oral test on the market. The easy to use Integrated E-Z 2 Split Cup, in the picture above, comes with the test card built into the test cup! This is perhaps one of the easiest tests to use on the market. "No Mess" all in one cup testing! 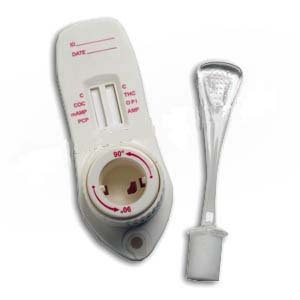 The Urine Adulteration Test strip pictured above is also known as the Specimen Validity Test.